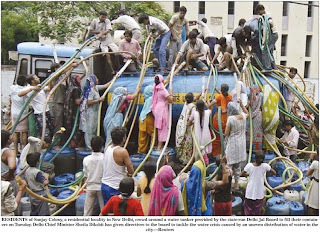 I Think, Therefore I blog: Water shortage in "shining" India! Water shortage in "shining" India! In India, they don’t use buckets to fetch water. They use pipes, as illustrated in the photo above. Maybe the people of Karachi can learn something from them.